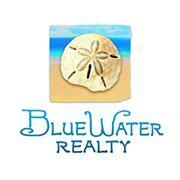 This is a one-stop real estate website for all your home buying and selling needs in The Virgin Islands. ALL Participants (and their affiliated licensees, if applicable) shall indicate on their websites that IDX information is provided exclusively for consumers’ personal, non‐commercial use, that it may not be used for any purpose other than to identify prospective properties consumers may be interested in purchasing. Information displayed on this website for listings other than those of the website owner are displayed with permission of the St. Thomas Board of Realtors Multiple Listing Service (MLS). Real estate listings held by brokerage firms other than the owner of this website are marked with the words “Broker Reciprocity" or logo. This website may not display the entire St. Thomas Board of Realtors MLS active database, as some owner(s) of records may not have given permission for their listings to be displayed. Information is from sources deemed reliable but is not guaranteed. Prospective buyers should verify information independently.